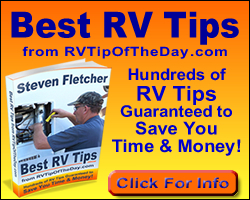 RIVERSIDE, Calif., Aug. 31 /PRNewswire-FirstCall/ -- Fleetwood Enterprises' RV Group, a leading producer of recreational vehicles, today announced the re-launch of its 2008 Terra and Fiesta high-value, Class A gas motor homes. All-new from the ground up, the 2008 Terra and Fiesta were presented to dealer representatives for the first time at Fleetwood's National Dealer Meeting in Las Vegas, Nev. on August 27-29, 2007. "Only the brand names remain unchanged on the 2008 Terra and Fiesta," said Paul Eskritt, President of Fleetwood's RV Group. "Our dealer body needed us to fill a gap in the entry-level Class A gas motor home segment, so we completely redesigned Terra and Fiesta, focusing on value, but not compromising style. We introduced them to the dealers attending our conference in Las Vegas and they were really impressed, which was the main goal for our product development and planning team." Debuting two floor plans at launch -- a 33' double-slide floor plan with private bedroom (33L), and a 35' triple-slide floor plan with bunk beds (34B) -- the 2008 Terra and Fiesta now include standard features like full pass-through basement storage with side-swing luggage doors and mid-coach 32" LCD HDTV. Other highlights on Terra and Fiesta include ultra-high-gloss fiberglass walls with three exterior graphic package options, two new interior decor selections, interlocking floor-to-sidewall construction for improved fit and finish, and optional 19" LCD HDTV in the bedroom. With a base MSRP range of $97,440 - $100,520, the 2008 Terra and Fiesta will be available at Fleetwood RV dealerships in late fall. For more information, call 1-800-322-8216 or visit http://www.fleetwoodrv.com.